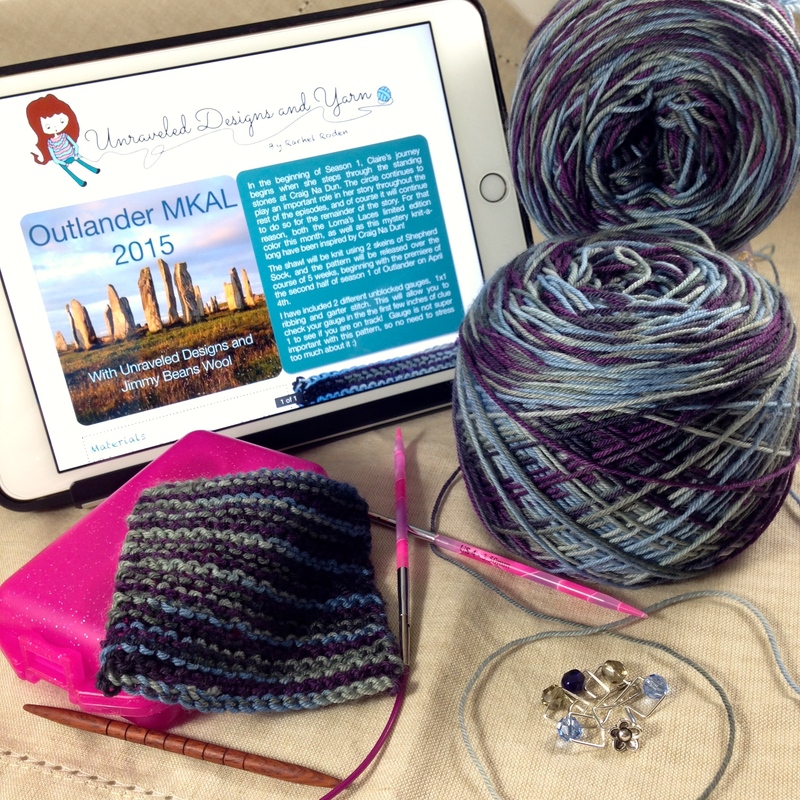 Outlander MKAL 2015 - It's Happening! 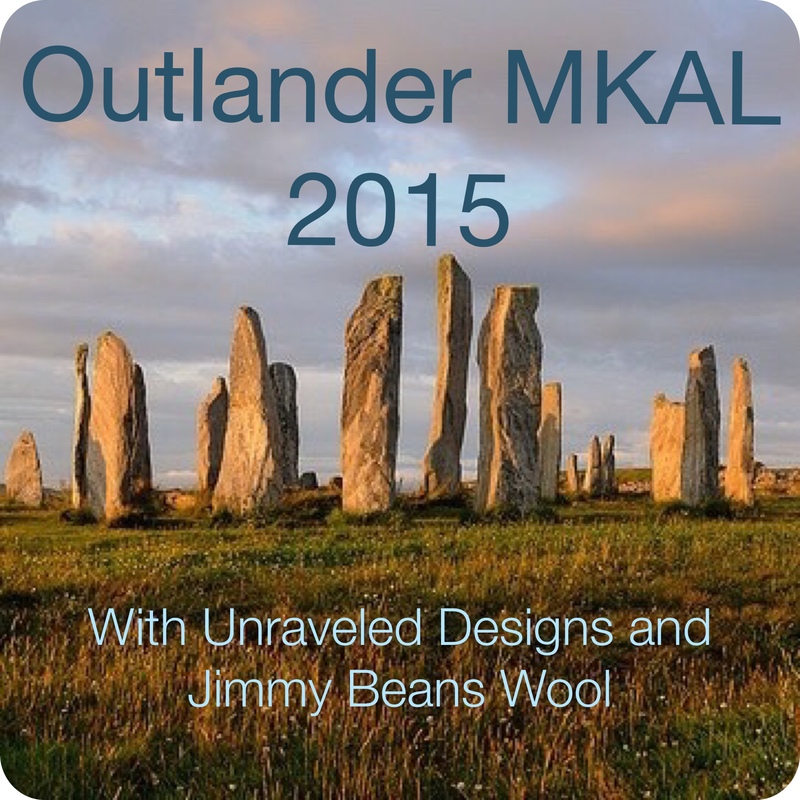 I am so excited to announce that I will be hosting another Outlander MKAL with Jimmy Beans Wool! This time, it will begin with the premiere of the second half of season 1 of Outlander on Starz, which I am sure we are all super excited to watch. I know I can't wait! In the beginning of Season 1, Claire’s journey begins when she steps through the standing stones at Craig Na Dun. The circle continues to play an important role in her story throughout the rest of the episodes, and of course it will continue to do so for the remainder of the story. For that reason, both the Lorna’s Laces limited edition color this month, as well as this mystery knit-a-long have been inspired by Craig Na Dun! 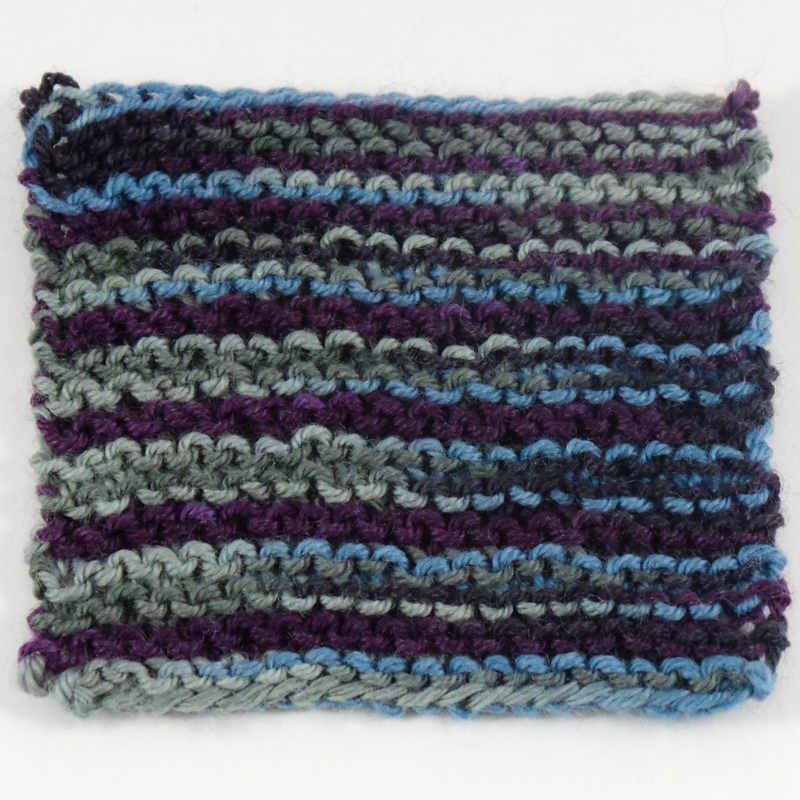 I have included 2 different unblocked gauges, 1x1 ribbing and garter stitch. This will allow you to check your gauge in the the first few inches of clue 1 to see if you are on track! Gauge is not super important with this pattern, so no need to stress too much about it :) Below is a pic of what the color looks like knitted up...gorgeous, right?! You will need a US 4-40" circular needle for the MKAL, though you can of course start with a shorter circular, or even straight needles, and just move to the long circular as the shawl grows. Also, in the course of designing the pattern, I found that I was much happier on a "grabbier " (technical term, right?) needle, rather than a super slippery metal one. I was dying to try out the Knitter's Pride Marblz, mostly because they are so pretty. They were the perfect mix of smooth and a little grabby, plus a tip that is pointy, but not too much so. Plus, the size 4 is hot pink, so how can you go wrong!? I hope you all join me and Jimmy Beans Wool for the MKAL, you can find an active, fun and friendly community in the JBW group on Ravelry. Happy knitting!